We have spent all day yesterday flying across the country and we have landed in San Juan, Puerto Rico where we board our ship. It is easy to overeat on a cruise ship. The food is endless. My plan for lunches is to eat the fish of the day and some salads and vegetables. 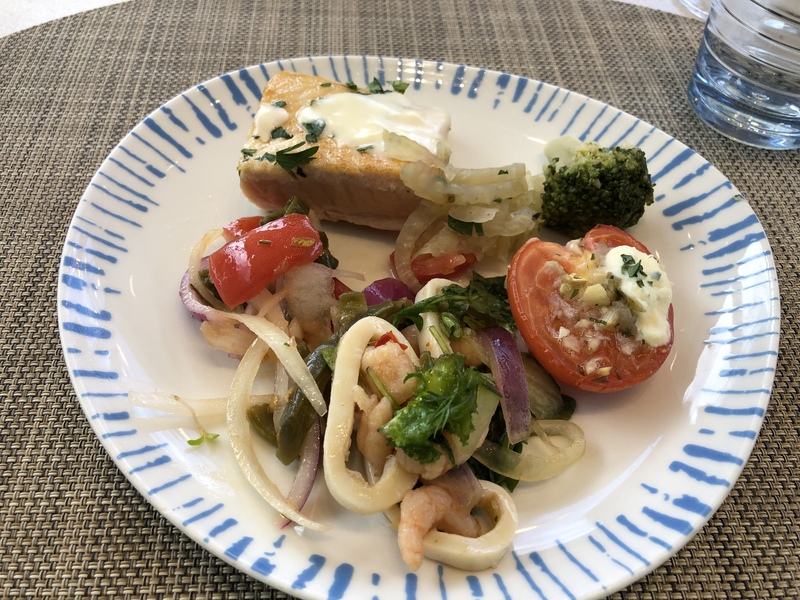 I do a good job today with a piece of nicely cooked salmon, a piece of broccoli, a little warm fennel and onion, and squid salad. I am feeling pretty good about myself! This entry was posted in Dining out, Healthy tips, pescatarian, Vegetables. Bookmark the permalink.